Tell us a bit about Made by Others and the concept behind it. 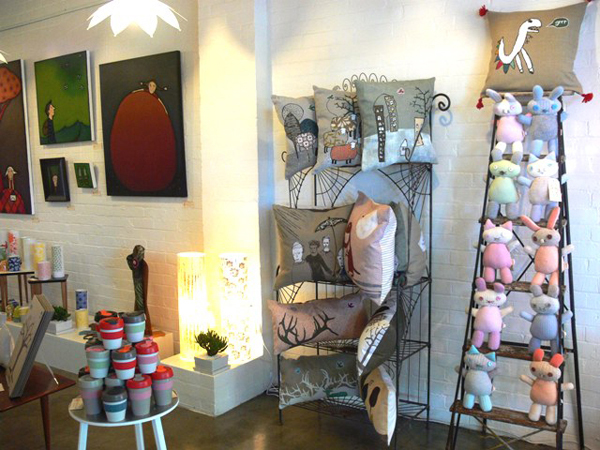 Made by Others is an art and design store in Moss Vale in the Southern Highlands, and hour and a half south west of Sydney. We wanted to bring a new style of store to the area, supporting independent designers and makers predominantly from Australia, but also from New Zealand, US, UK, France and Canada. We want to support makers whose work shows outstanding design skills in the areas of painting, illustration, ceramics, lighting, textiles, object design, glass and more. 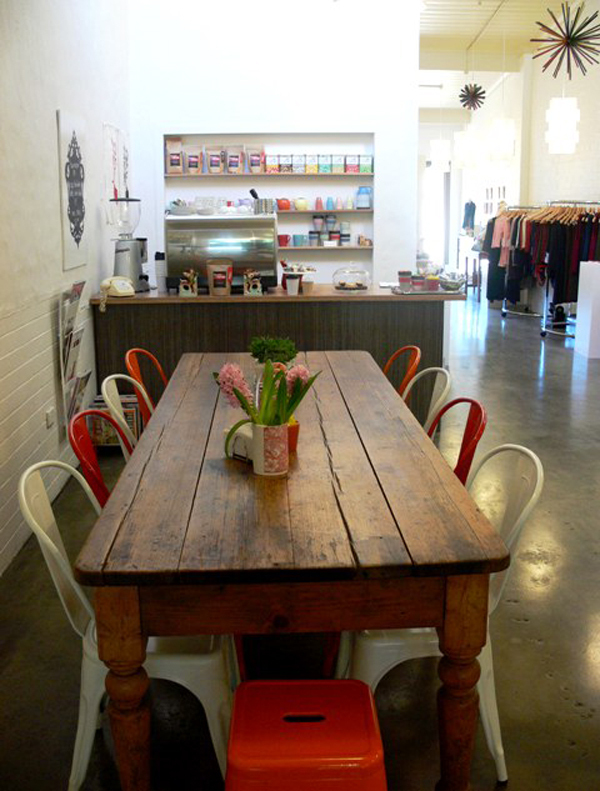 We also serve coffee, which is grown and roasted by a small boutique business in the Byron hinterland. We opened in mid April, with the idea of creating a Melbourne style of store….sort of a Melbourne meets Moss Vegas (as the locals fondly call the town!) 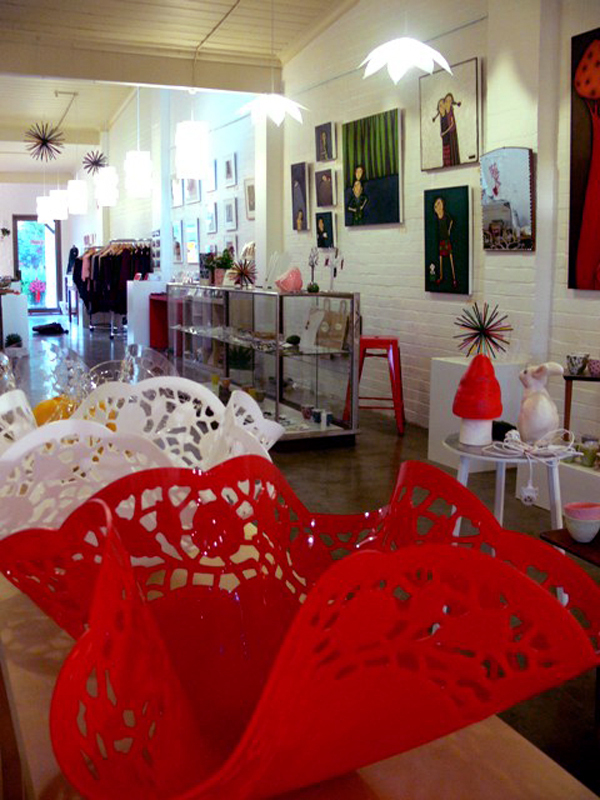 The name of the store is to convey what we are about, which is showcasing works of individuals! Our logo and signage was designed by Nikki Catalano, a very talented young Sydney illustrator. What labels & products do you stock and what are you always searching for? We stock some of the known makers from Finders Keepers such as Keep Cup, Feed the Dog, Angus and Celeste, Bonnie Poplar, Maiwaku amongst others. We are always on the lookout for interesting design and execution which is a level about the “handmade”. We like the products to stand alone, and display them in more of a gallery style, as opposed to a shop with little bits of this and that!! We have lots of other cool designers and illustrators from New Zealand, France, UK and US. Favourite part of the store is the 1940’s original glass counter which contains all our jewellery pieces and overlooks the beautiful glass shop front.From this we view a overlook a park from which we can view the changing seasons. We love the building, it is a 1920’s building with high raked ceilings and a bull nose verandah. The floor is concrete giving it an industrial feel, but we also have a three metre long table from the 1850’s where people can sit and relax! 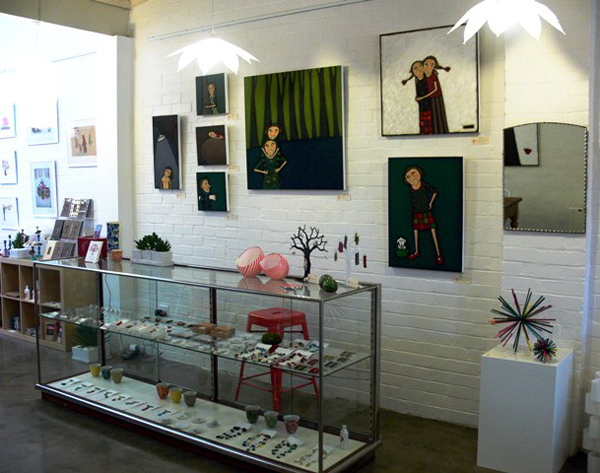 What is the design & art scene like in Moss Vale? The Southern Highlands has long been known as an artistic area, and Moss Vale has a great Fine Arts School at the local TAFE. 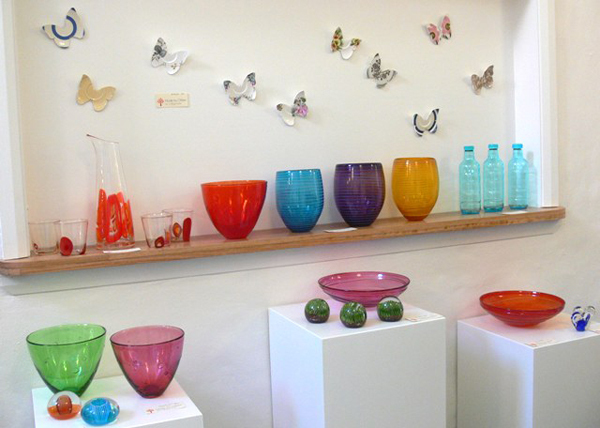 We have brought something contemporary to the area which has a more traditional gallery scene. Too early to give advice….we have been open only 10 days, but all the hard work is worth it. We have had a great response from both locals and visitors. Such a beautiful store and a neat idea Anna. Well done. THe shop looks so beautiful. I can’t wait to have a visit! I know I keep threatening to come to Moss Vegas, well .. it’s finally happening. 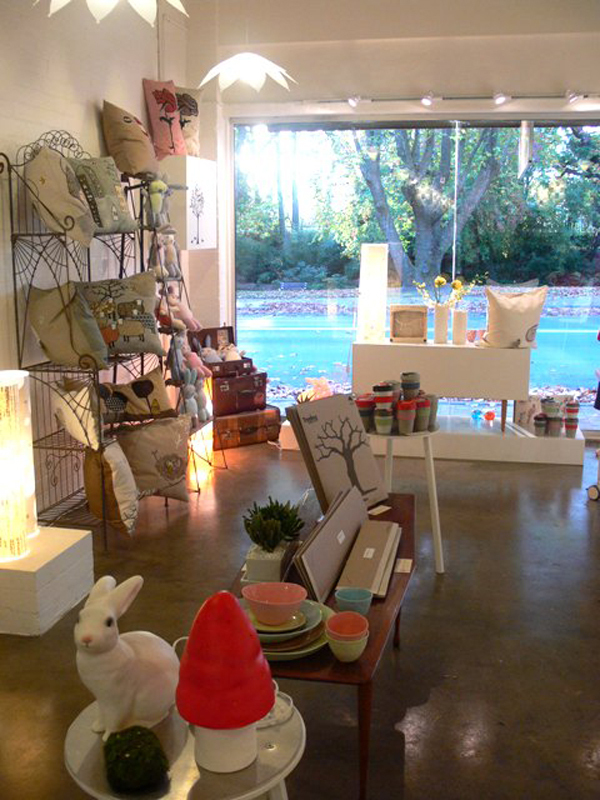 Shop looks divine .. need one of those rabbit lamps. Looking forward to visiting. Looks dreamy.